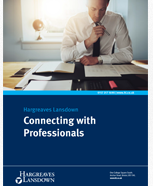 Find out more about how we want to refer our clients to trusted partners across the UK for tax, accounting and legal advice.This guide is not personalised advice. This guide is not personalised advice. The value of investments can fall as well as rise so you could get back less than you invest. We are looking for professionals, particularly accountants and solicitors, to build mutually beneficial relationships with our national team of Financial Advisers.